Walt Disney Animation Studios (WDAS)’ newest feature film, Zootopia, opening in theaters everywhere this Friday, March 4, draws upon a rich legacy of Disney films with animals at its center, from The Adventures of Ichabod and Mr. Toad (1949) to Bolt (2008). 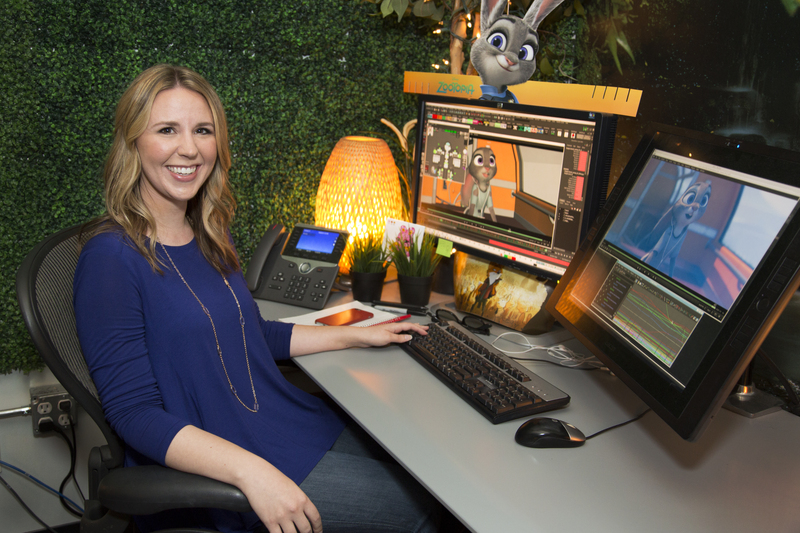 But audiences will see for the first time in Zootopia technical advances in how these animals come to life on screen. Never before has it been possible for animators to visualize such a vast array of animals so realistically, with fur that’s more lifelike than any other Disney animated film. This innovation is made possible through Disney’s XGen procedural geometry instancing tool. 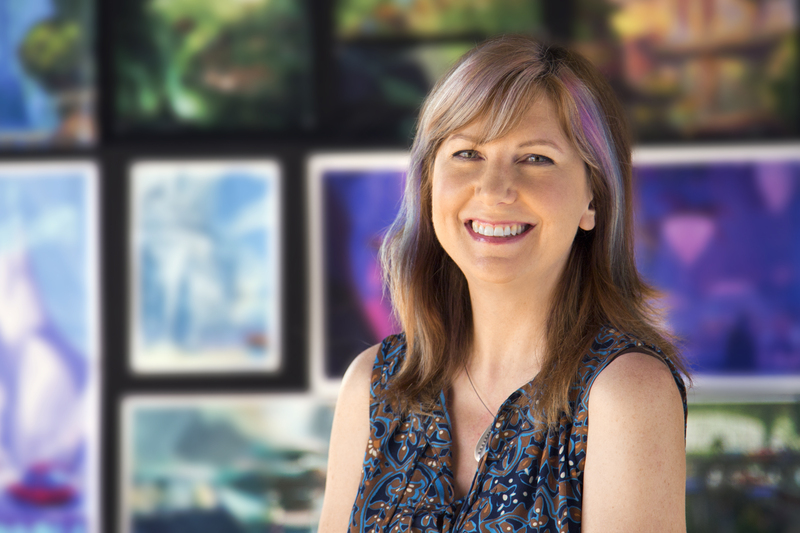 Modern animation has come to increasingly rely on the left brain/right brain balance between creativity and animation, and Robinson is part of an ever-expanding group of women working at WDAS who work on the tech side of the filmmaking process. 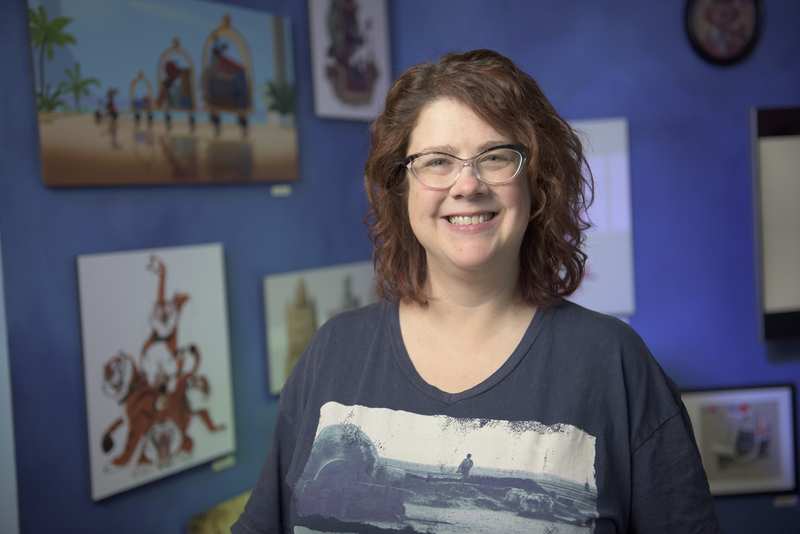 Women go as far back in Disney animation, of course, as the famed Ink and Paint “girls”—who were pioneers for their time—but today’s class of women at WDAS are as likely to have studied architecture or computer science in college as they are to have emerged from art schools. Lehtomaki credits the Internet for presenting a wider range of possibilities on the technical side. 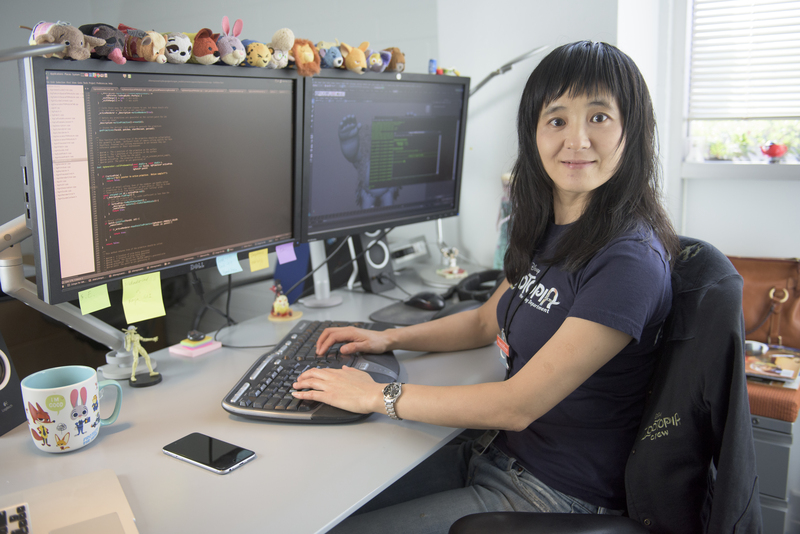 “That openness of information and technology is no longer just available to an exclusive group of people that were kind of niche and have the same kind of backgrounds and interests. That training can now be available to anybody,” she points out. “The people who ended up mentoring me were the people I describe as having shaped my childhood,” Lehtomaki stresses. Robinson concurs that this is woven into Disney’s legacy. “There are always people available to guide you through that path in your career. There’s always someone ahead of you who has done that and can teach you. And I think that women supporting women is an important part of that,” she says.